Kumaraswamy allegedly abused his official position in granting lease to a mining company for lifting of one lakh metric tonne of iron ore.
New Delhi: Former Karnataka Chief Minister HD Kumaraswamy and his spouse will have to face criminal trial for alleged misuse of official position in granting lease to a mining firm and allotment of 80 acres of land to a private cooperative society, the Supreme Court said on Tuesday. The allegations against the Janata Dal (Secular) leader include that he abused his official position in granting lease to a mining company for lifting of one lakh metric tonne of iron ore.
"Of course, you are a political person. You will say it...Just because you were Chief Minister it does not mean that you would not face the trial," the bench said. The apex court allowed the plea filed by advocate M Vinod Kumar against the Karnataka HC order of October 21, 2011 that had quashed the proceedings initiated against the couple by the Special Lokayukta Court on his complaint. It said that high court should not have quashed the order and proceedings against the accused. "The allegations against them ought to have been adjudicated in the trial," the bench said while setting aside the high court's order. The bench, however, said it has not expressed any opinion on merit of the allegations and all the defences of the accused would be open. 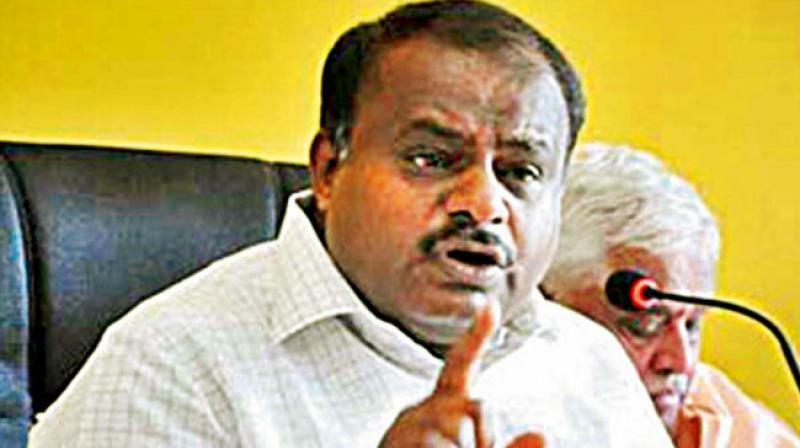 The cases against Kumaraswamy and his wife Anita, then a JD(S) MLA, were related to renewal of mining lease to the Jantakal Mining Firm in alleged violation of norms and alleged irregularities in allotment of sites to Vishwabharathi Housing Cooperative Society, which had made a quid pro quo site allotment to Anita, during Kumaraswamy's tenure as Chief Minister in 2006.